Turn your publishing dream into reality. Capture your precious family memories. 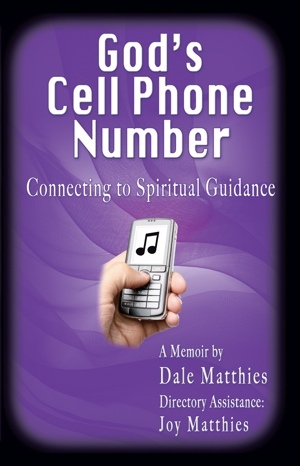 LifeReloaded Specialty Publishing is a boutique publishing company located in Lancaster, Pennsylvania. We believe that creating your book should be a positive experience — not a chore. Our specialty is working closely with our clients to develop their stories and materials into complete and interesting books. Most of our authors are first-timers. They typically arrive with cardboard boxes of “stuff.” They’re looking for someone who can assist them in telling their story and creating their book. Our associates include professional editors, designers, illustrators, photographers, and other specialists that we engage to meet the specific needs of each project. LifeReloaded’s customer service goal is simple. We are committed to providing our customers with total satisfaction. Every time. We review your material and work with you to develop the concept for your book. We scan your photos, or photograph your documents and other materials, and prepare them for inclusion in your book. This includes digital photo restoration when needed. We work with you to develop and edit the narrative for your book. We will develop 2-3 sample designs for your review, and work with you to fine-tune the design. Based on the approved design, we will develop the full layout of your book including text, photos and other images, footnotes, index, etc. You will be provided with a PDF for initial review and then a full printed proof copy for final approval. The cover of your book is its “face to the world.” We will develop 2-3 cover design options for your approval based on your ideas. We handle all aspects of the production process and deliver completed books to you. We can provide full warehousing and distribution for selected files. LifeReloaded Specialty Publishing is an accredited vendor with Ingram, Baker & Taylor, and Amazon. We can provide professional sales and marketing support and services for selected files. We are excited to introduce our newest imprint — American Lifestyle Publishing. 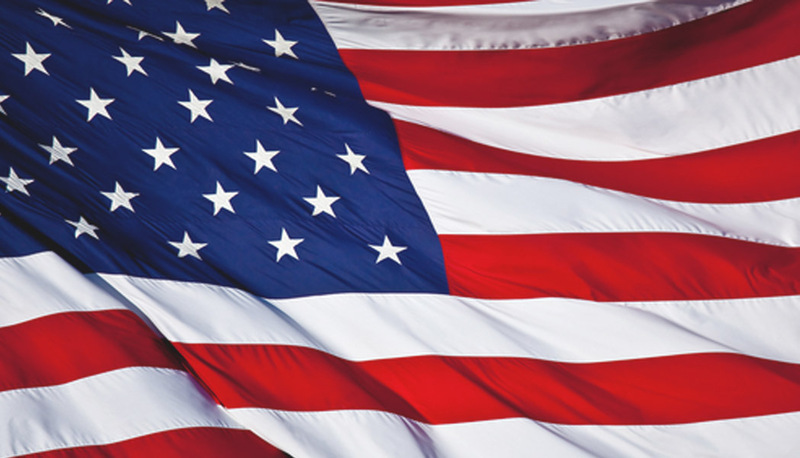 American Lifestyle Publishing will offer a range of books that celebrate all aspects of the American lifestyle in high quality coffee table books and eBooks. Chef John Moeller is a member of an elite corps of chefs who have served in the White House preparing très soigné cuisine for Presidents, first families and special guests such as Tony Blair, Nelson Mandela, and Julia Child. 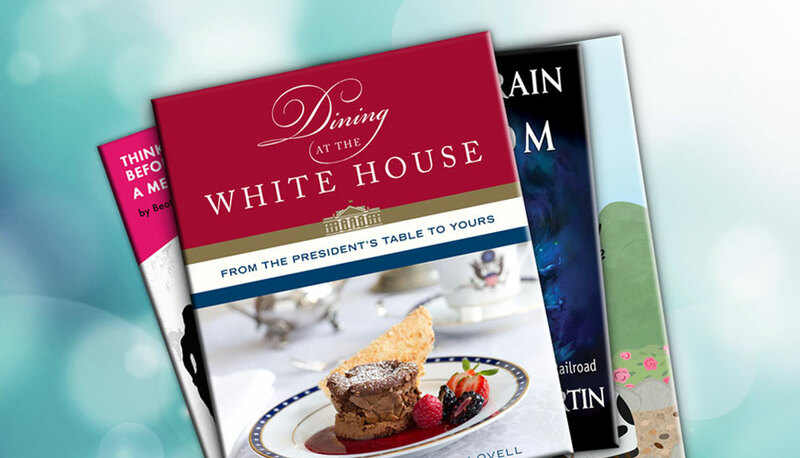 Dining at the White House — From the President’s Table to Yours is a must-read for any Presidential buff or foodie! 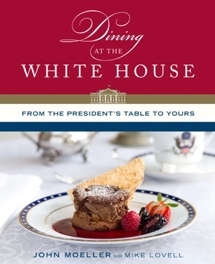 This book provides an insider’s view of what it is like to dine at the White House and describes Chef Moeller’s most memorable moments cooking for three First Families. It includes over 100 recipes for one-of-a-kind dishes, featuring his trademark use of fresh, seasonal ingredients, inspired by his classical French training with an American twist. Useful chef notes help adapt fine French cooking techniques for the home cook. American Historical Publishing specializes in historical memoirs. Our books are rich with old documents, memorabilia, military medals and old photos — many of which we have carefully restored. Topics include the Civil War, WWII, memories of life in a country store, mining towns, histories of clubs and organizations, family histories, and legacy books. 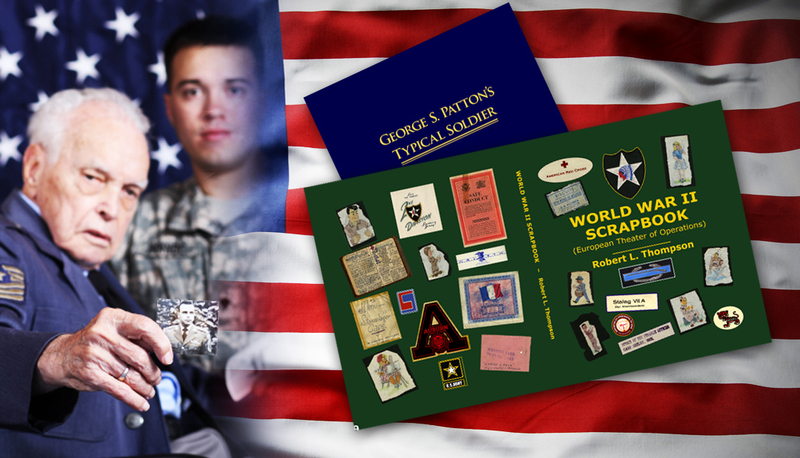 Thomas W. (Wally) Clarke chronicles his experiences as a machine gun sergeant in WWII in the Third United States Army under the command of General George S. Patton. In his memoir, Wally weaves together the record that he kept in his daily journal with the letters that he wrote back to his family — all of which were kept by his mother. A special section has Corporal Dave Kolb’s narration of the attack on Bezange-la-Petite. It also includes the German captain relating his story in defending the town, during that same attack. The book contains numerous maps and photos, and a full-sized foldout of an attack map drawn at the time of the battle at Sarre-Union on December 1, 1944. Titles range from biographies, YA fiction, and poetry to adult memoirs and adult fiction. Time-traveling teens Max Myers and Jinx MacKenzie are called back to a time when America is being torn apart by the issues of slavery in the 1850s. As they are caught up in the shadowy world of the Underground Railroad, they run into some amazing characters from history, and follow the ghost train backwards heading into the Deep South. Using a quilt, a vision, and each other, Max and Jinx find themselves on the ultimate adventure that involves famous people who helped others gain their freedom at all costs. Faith Reese Martin weaves together history, mystery, time travel, action, and suspense — from the slave ships that sold men, women and children like cattle, to the ultimate fighters who sacrificed a great deal and risked their lives in the fight for freedom. This thrilling story is a true lesson in how faith and beauty can come from the depths of sadness and inequality. 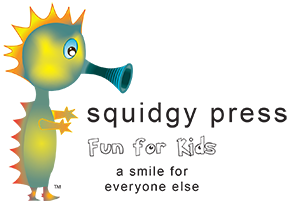 Squidgy Press specializes in publishing illustrated children’s books. We work with a network of specialist artists, editors and designers to provide the right combination of skills and resources required for each project. Moo Kitty Finds a Home, a Mom’s Choice Awards® Gold Recipient, is a heartwarming story about a cat who finds himself on his own in search of a new home. After leaving his rose garden, he meets new human and cat friends who help him have courage, strength and faith that he’ll soon find a new forever home. 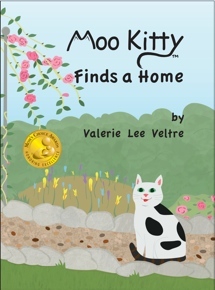 Love, compassion and friendship are just some of the life lessons that Moo Kitty learns on his journey. Delightfully bright and lively illustrations bring a light touch to this story with a happy ending. The book includes a list of the benefits of adopting an adult pet, and tips for helping them settle in as a new member of the family. Every parent will want to share this story filled with hope, faith and goodness with their child. Many of our projects are undertaken on the basis of Contract Publishing. Contract Publishing projects are books that we develop for organizations or private clients for their own use but which are typically not offered for sale to the general public. Examples of our Contract Publishing Projects include anniversary editions for companies that are used as gifts for their clients; histories of organizations that are used for sale to members only; and family histories that are created as family heirlooms. Many of the Contract Publishing books are produced in limited numbers of 50-500 copies and many also feature special Deluxe editions with exclusive features that can be sold at a premium for fundraising or as special gifts for high-value sponsors. 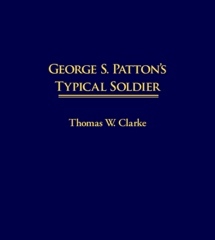 Thomas W. (Wally) Clarke chronicles his experiences as a machine gun sergeant in WWII in the Third United States Army under the command of General George S. Patton. In his memoir, Wally weaves together the record that he kept in his daily journal with the letters that he wrote back to his family — all of which were kept by his mother. 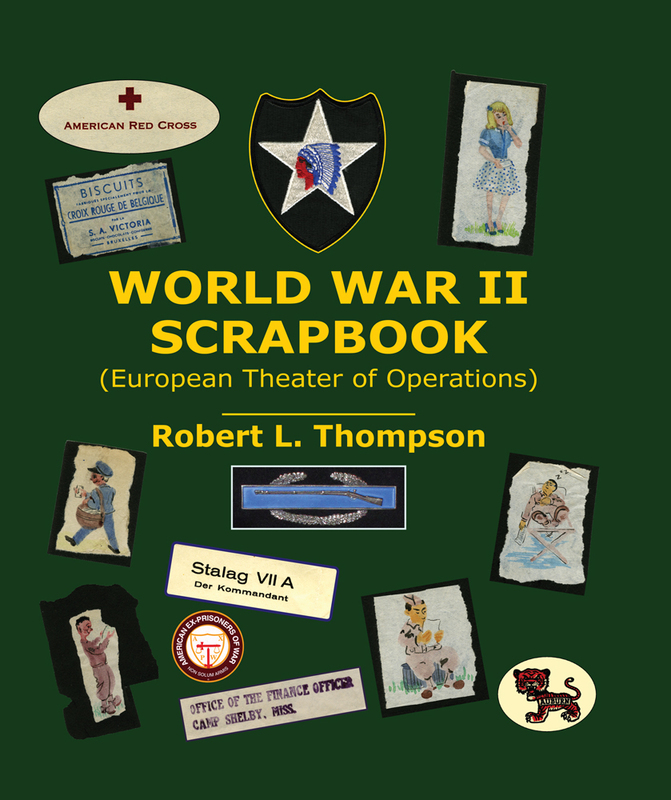 The book contains numerous maps and photos, and a full-sized foldout of an attack map drawn at the time of the battle at Sarre-Union on December 1, 1944. 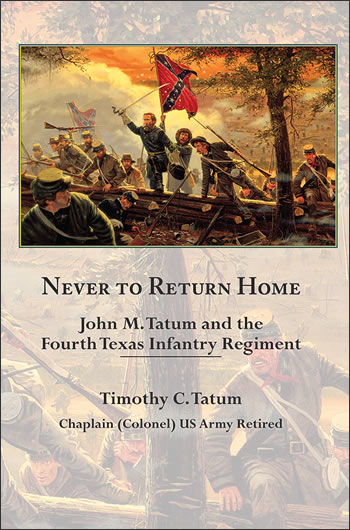 This book tells the story of John and his regiment as they fought some of the most famous battles of the war. Sadly, John never lived to see the end of the story. Like thousands of others, he never returned home. 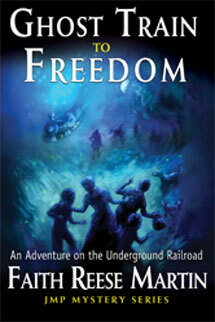 Weaving together history, mystery, time travel, action, and suspense, the author spins tales that are intriguing, imaginative, and altogether enchanting about the Underground Railroad and issues of slavery in the 1850s. 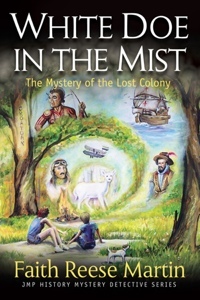 This intriguing mystery story is set against the real history of England’s Lost Colony of 1587 on Roanoke Island, when the colonists mysteriously disappeared, only leaving a puzzling clue behind. Accompanied by a FREE study guide for teachers and homeschoolers. A heartwarming story about the benefits of adopting an adult animal. Follow Moo Kitty in his big adventure to find a new home! After leaving his rose garden, he meets new human and kitty friends who help him keep the faith that he’ll soon find a new forever home. Love, compassion and friendship are just some of the life lessons that Moo Kitty learns on his journey. Join Moo and his friends in this charming and beautifully illustrated story. 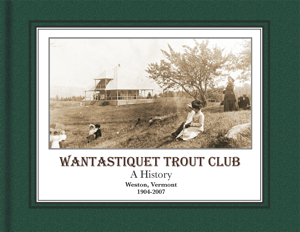 Wantastiquet Trout Club — A History was published to mark the 100-year anniversary of this fishing club in Vermont. This collection is the result of 10 years of dedicated research and represents a compilation of historical data, old photos, and graphics, as well as reflections from members and friends of the club. 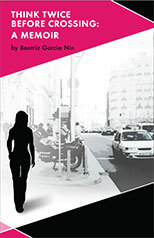 In her suspense memoir, Beatriz Garcia Nin describes how she was stalked, nearly kidnapped and had freak accidents in the U.S. and abroad. These horrifying events could happen to anyone, maybe once, but all happened to her, and yet she finds humor in each compelling story. 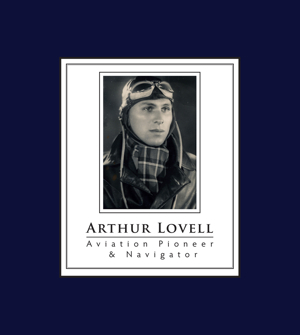 Arthur Lovell was a pioneer of commercial aviation in Australia. His first flight was at the Royal Victorian Aero Club in a DH Gipsy Moth in 1935. After approximately 23,000 logged flying hours his final flight was in a Boeing 727 in 1978. The story is written in his own words and includes many previously unpublished photographs. Sometimes God answers our prayers, but in ways that we don’t expect. It’s easy to miss the answer if we are not listening properly. 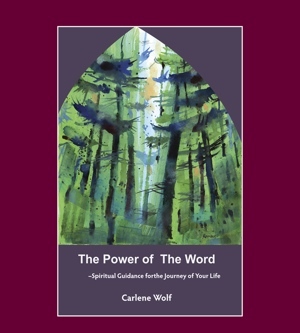 A personal daily journal with scripture passages to guide the journey of our lives. 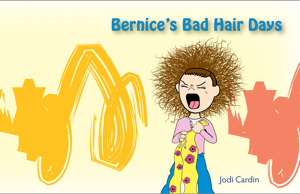 Bernice’s Bad Hair Days was published as a fundraiser to provide hairpieces to financially disadvantaged children in the United States and Canada under the age of 18 suffering from long-term medical hair loss from any diagnosis. 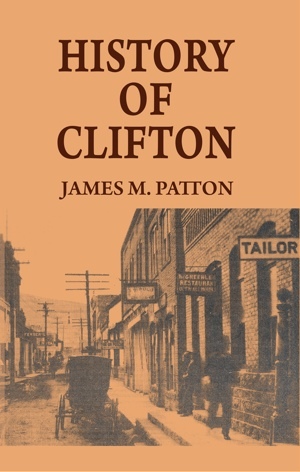 James Patton went to Clifton, Arizona as a history teacher and coach in 1942. At Clifton he found a place of unexampled grandeur and rugged beauty among the black and red cliffs of the towering mountains. The ruins of the various old smelters and the talk of pioneers who still lived there aroused his historical interest so that eventually he began to dig in the musty old files and write this history. 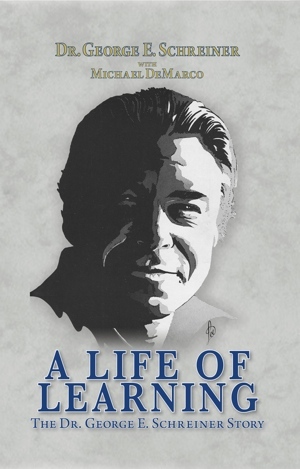 The autobiography of Dr. George E. Schreiner IV, who became “the guru of American nephrology” at Georgetown University. Georgetown University ordered copies of this book, which it sent to former students of Dr. Schreiner around the world as a tribute and as a solicitation for fundraising. In 1933 a small group of golfers dreamed about a brand-new course which would be the “sportiest and toughest test of golf in the area.” There was one major problem: they had no money. This book contains many historic photos from the construction phase of the club and throughout its subsequent 60-year history. 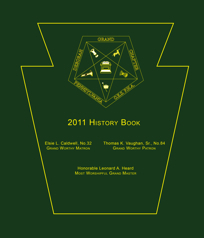 Order of the Eastern Star — History 2011 is the ten-year update of the organization’s history from 2001-2011. 336 pages. 300 copies printed. 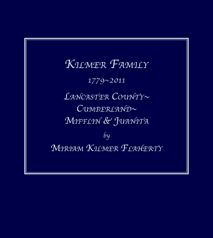 This Kilmer Family story has been written to fill the void that exists for many of the Kilmers of Juniata County. All have descended from Phillip Gilmore/Kilmer of Lancaster County, Pennsylvania, but have not had their ancestry compiled into one up to date publication. 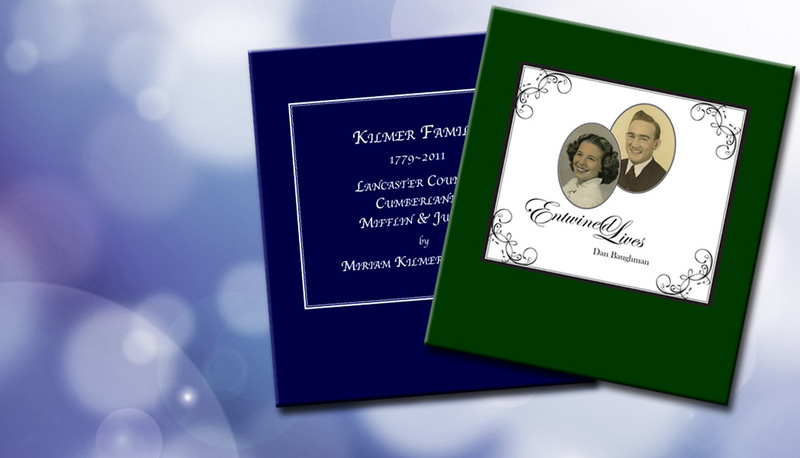 The book includes information on the major families that married into the Kilmer Family in the early generations. If this book serves to preserve the family history and provide for future generations to know us, it will have served its purpose. Dan served in the Navy in WW II, mainly in the Philippines. Dan and Elfrida (Fritz) first met in 1946, shortly after he was discharged from the Navy. 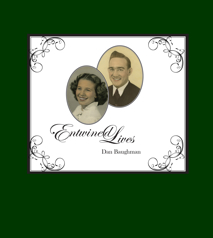 Entwined Lives is the story of their lifelong romance as they raised a family. This book includes the history of Fritz’s parents’ romance and lives in Germany, and the exciting story, written in her own words, of Fritz’s grandmother, of her life in Tsarist Russia and their desperate escape across the melting ice to ultimately land in Canada. 230 pages; features many color and B&W photos; 300 copies printed.